KATHMANDU, Aug 20: The Lutheran World Federation (LWF) Nepal has provided relief to 568 flood-affected families in various rural municipalities in Jhapa and Kailali districts. According to a press statement issued on Sunday, LWF Nepal distributed rice, pulse, cooking oil, iodized salt, unstitched cloths, saree, bucket, blankets and kitchen utensils with 15 items to 90 families of Baluwatar in Jhapa rural municipality. 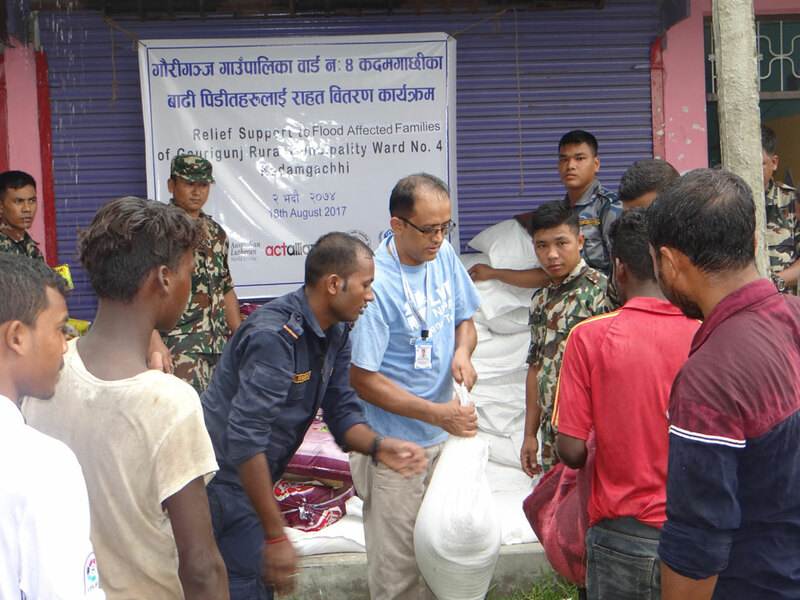 It distributed blanket, cooking pot with 5 items, glass, bowl, and plate to 57 families of Gaurigunj rural municipality and rice, pulse, iodized salt, cooking oil, beaten rice, instant noodles and blanket to 111 families of Kadamgachhi of the same municipality in Jhapa district on August 15 to 18. "We are one of the first responders to the flood-affected families of eastern and far western parts of Nepal immediately after the floods," the release quoted Country Director of LWF Nepal Prabin Manandhar, who is also Convener of ACT Alliance Nepal Forum, as saying.